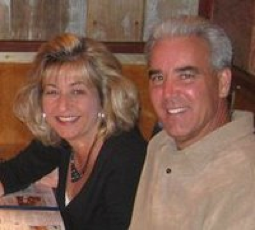 Jim Perkins, owner of Pair of J's Tours, Inc. and wife Jamie began business in 2007. Many previous travelers may know Jim by the alias 'Cherokee Jim'!! They are a business that loves to serve you while having the most fun possible! Pair of J's Tours Provides a luxury motor coach service to Harrah's Cherokee Casino and Hotel in Cherokee, NC. We offer a beautiful 57 passenger motor coach service leased by Rose Chauffeured Transportation with comfortable and Wi-Fi. We serve beverages, snacks and movies for the ride to and from Cherokee. For our overnight trips, we provide rooms at Harrah's Cherokee Hotel and Casino (New Creek Tower is NOW OPEN!!!). Come join us for lots of fun!